Tracks and trails will take you to spectacular vistas. Wonderment at unearthing unique natural wonders and discovering your own Whyalla along the way to creating unforgettable experiences and memories. The comfort comes from the light breeze, which quickly comes and goes. The serenity of the gentle lapping of the waves onto shingle deposits, sandy beaches and rocks and the stunning views of the blue gulf waters framed by picturesque hills and Southern Flinders Ranges relaxing the mind. The Whyalla scenic routes take you on trips to unearth adventure and discovery. You can explore at your own pace, spend time with others or make new friends along the way at the numerous camps. A 4WD heaven, the coastal tracks will unearth vistas that are truly breathtaking. Whether you're travelling along the spectacular northern coastline, winding along coastal or inland tracks, exploring the aquatic natural wonders or visiting the dramatic outback, you'll be captivated. 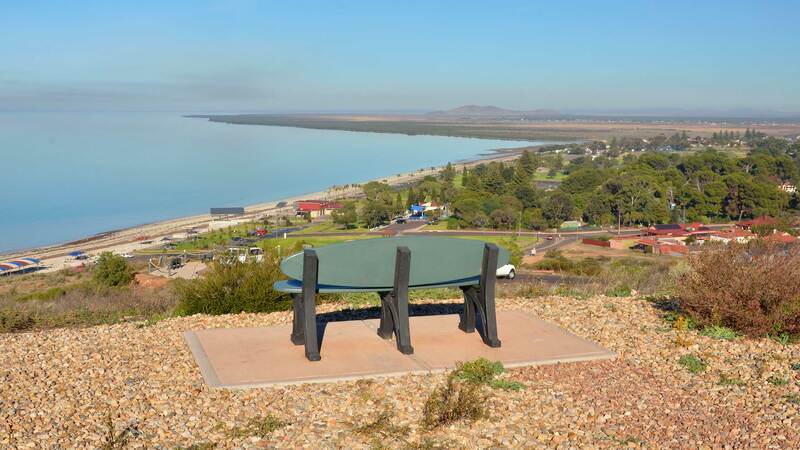 Exceptional and unequalled views of Whyalla can be easily accessed at the lookouts at Hummock Hill and the Flinders and Freycinet Lookout where explorers and early settlers trod and explored. Love walking? Walking trails will take you around Heritage Trailways and through nature trails that include pebble beaches, dunes and bushland unearthing beautiful landscapes as old as time itself.